Daughter of Dwayne "The Rock" Johnson and his girlfriend Lauren Hashian. Her father introduced her to the world in an Instagram post four days after she was born. 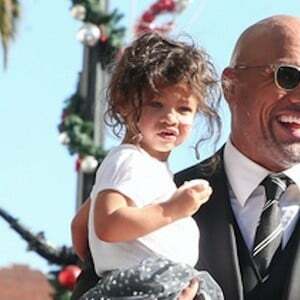 Her parents met while The Rock was filming The Game Plan. She has a younger sister named Tiana. She also has an older half sister named Simone from her father's previous marriage to Dany Garcia. Her father Dwyane Johnson was starring on HBO's Ballers when she arrived in the world.